Other than the ancillary staff members, the Department of Education and Science (D.E.S.) determines the number of staff members that the school may employ on an annual basis. The B.O.M. is dependent on the allocation of various grants by the D.E.S. The B.O.M. is responsible for the prudent use of the school's resources within the regulations as prescribed by the D.E.S. from time to time. Scoil Fhoirtcheirn agus Fhinin Naofa adopts procedures and practices governing the enrolment of Pupils in Primary Schools as expressed in the Rules for National School, Government legislation including Education Act (1998) and Education Welfare Act (2000) and circulars of the D.E.S. 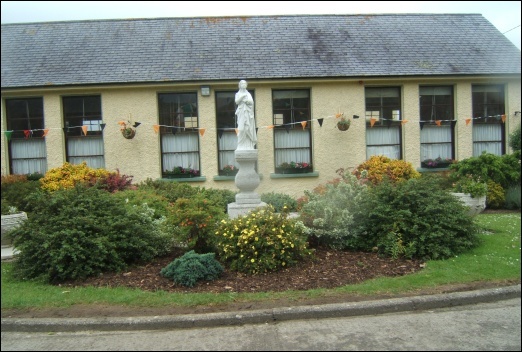 The school is governed by a Board of Management under the patronage of the Bishop of Kildare and Leighlin. The school seeks to promote an ethos, which reflects Christian teaching and values, and promotes an atmosphere of tolerance and respect for differing views and beliefs. The school's aim is the integration and development of each child physically, socially, culturally and educationally from the day the child starts to the day he/she leaves. Taking into consideration the age, abilities and individual needs of all, we encourage children to participate in as many activities as possible e.g. school sports, outings, music and drama, swimming lessons, quizzes, artistic competitions etc. Board of Management is responsible for the direct governance of the school. The board consists of the Principal Teacher, one teacher elected to represent the teaching staff, two parent's representatives, two Bishop's Nominees and two people representing the local community. The Association holds the distinction of being one of the longest running Parents Associations in Ireland. Formed on November 22nd 1972, it celebrated it's 25th anniversary in 1997 and its aim then and now is to cooperate with the Manager and teachers in providing better facilities, extra curricular activities and funding, where necessary, for the school. Over the years the Association has made representations on health and education issues, subsidised swimming lessons, providing funding for Christmas Parties, School Sports, and Tours and from time to time guest speakers have been invited to speak to members. Meetings are held at least once per term and officers are elected annually at the A.G.M. Parents are encouraged to join the organisation and take an active role in their children's abilities. Cabarets held locally and bag-packing weekends have been the main fundraisers in recent years and parents are asked to support the fundraising efforts of the Parent/Teacher Association. 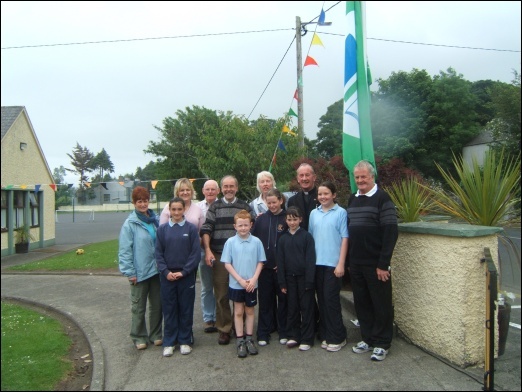 On July 2nd 2005 a great crowd gathered in the school to commemorate the 50th anniversary of the opening of Scoil Fhoirtcheirn & Fhinín. Mass was concelebrated by the bishop of Kildare & Leighlin Dr. James Moriarty, Fr. Hayden P.E., Fr. O’ Shea P.P. and Fr. Howard C.C. Past and present pupils gathered for this unique occasion, some of whom had travelled from overseas, to pray together, to remember and to celebrate. Although the evening started fine it was unfortunate that the weather deteriorated as the Mass continued but it certainly did not in any way either dampen the spirits of those present or interfere with the solemnity of the occasion. Prayers of the Faithful included prayers for the current Staff and pupils – who provided such a marvelous choir led by past pupil Vincent Dunne, (organist) and Noel McGarvey, Principal. The choir was accompanied by past pupils on the clarinet, flute and guitars. Also remembered in the prayers were the boys and girls of yesteryear who received their primary education in Myshall, some of whom are deceased, while others are scattered all over the world. The Offertory Procession reflected on the old and new activities of school life – the Roll Books, the old window frame from Myshall Boys’ School, the School Bell, the Bible, a computer disc, copies and sports equipment and a globe was also presented symbolising those who emigrated. 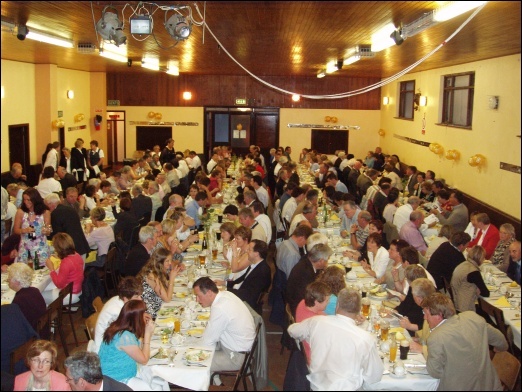 The crowd then adjourned to the Community Centre, beautifully decorated by the Committee and Myshall Garden Club, where over 300 people sat down to a four course celebration dinner. Each person attending was presented with a booklet celebrating over 180 years of education in our parish and a souvenir pen bearing the name of the present school – “Scoil Fhoirtcheirn & Fhinín 1955 – 2005”. Fear an Tí for the night was Tommy Murphy Lismaconly who read out messages from past teachers who were unable to attend on the night Ann Carroll Bogh, Denmark and Gemma McGirr, Kilkenny. Some past teachers in the village were represented by family members while others were in a position to attend, among them Ms. Nora Crowley who travelled from Cork specially for the occasion. Afterwards a great night of dancing to the Adrian Ryan Band was enjoyed by all while the small hall, transformed into a bar by local publican and past pupil Maurice Roberts was the scene of mirth, music and craic well into the early hours. On Tuesday 25th October 2005 which was the actual day and date of the opening of Scoil Fhoirtcheirn & Fhinín fifty years ago, the children gathered at the old Boys School where some past pupils of that school showed them around the building and recalled their schooldays. The children then marched behind the school banner to the site of the old Girls’ School where again past pupils of that school pointed out the exact location of the building and shared with the children their school experiences. Afterwards the children enjoyed a party at which they each received a little present and a souvenir pen bearing a name they could be proud of – ‘Scoil Fhoirtcheirn agus Fhinín’. The organising committee consisted of Mairead Doolan, Margaret Doyle, P.J. Fox, Sean Keogh, Patsy McLean, Tommy Murphy, John O’Connor, Gretta Roberts and Sheila Ryan. 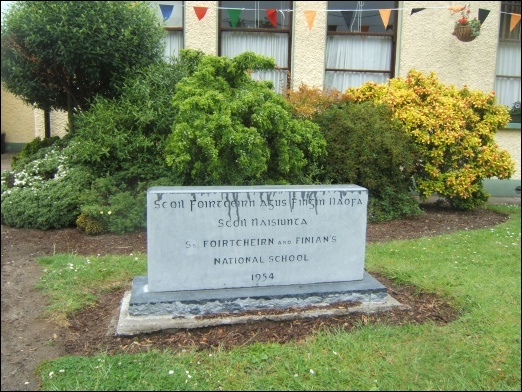 Scoil Fhoirtcheirn agus Fhinin Naofa was opening in 1955. Myshall N.S. Parent/Teacher Association was formed in 1972. New extension was blessed and officially open by Bishop Patrick Lennon in 1981. Myshall N.S. has two Green Flags. The school has 6 teachers and an S.N.A. There are 103 pupils on roll.